Caption slip reads: "Photographer: Olmo. Date: 1954-04-17. Reporter: Adler. Assignment: Cops and chicks. 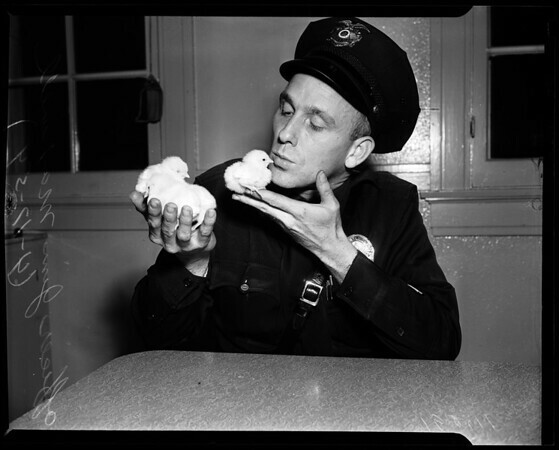 25/26: Officer Jim Maxwell, father of four kids, holds four baby chicks which he is taking home for them from Wilshire station where they were donated".